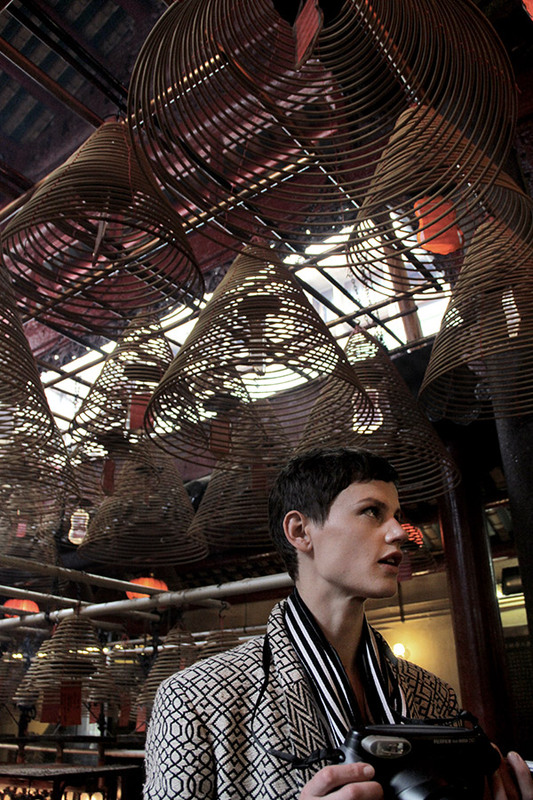 Dutch model and artist Saskia de Brauw, accompanied her designer ally Haider Ackermann, to embark on a whirlwind journey encompassing a whistle stop visit to Hong Kong. Saskia has graced numerous magazines’ covers and fashion campaigns, yet the self-proclaimed “accidental” model was trained as a fine artist. It was surprisingly her first time to Hong Kong, so she immersed herself in our vibrant city and shared with Joyce about what caught her artistic and fashionable eye. 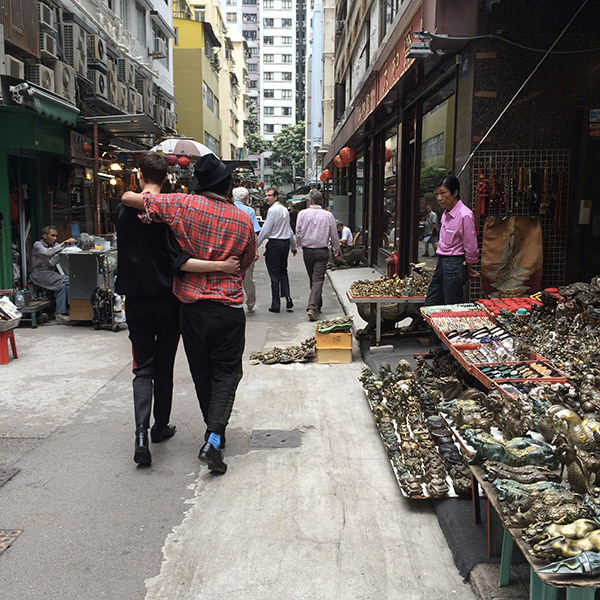 Q1:What did you do in Hong Kong today before we met up? 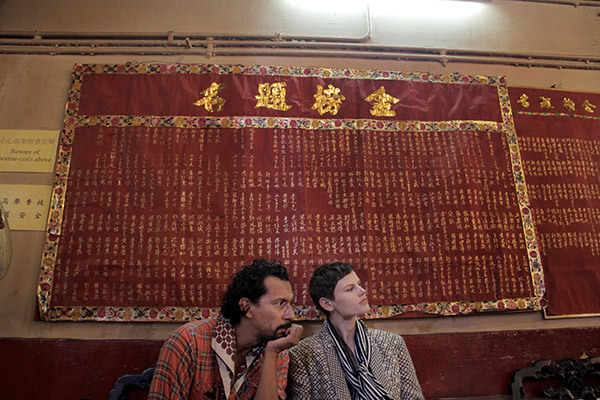 Saskia de Brauw: I went on the famous Star Ferry, had a lovely lunch at Sevva, both of which offered such spectacular views of the city skyline. 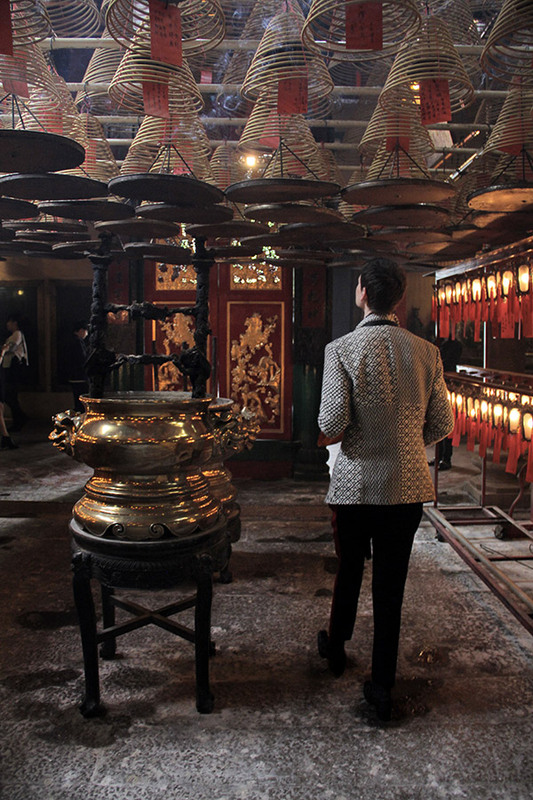 I then visited Man Mo temple and got a Chinese calligraphy souvenir. I asked for “inner peace” and the man wrote me 「心如止水」. Q2:What’s your impression of Hong Kong? 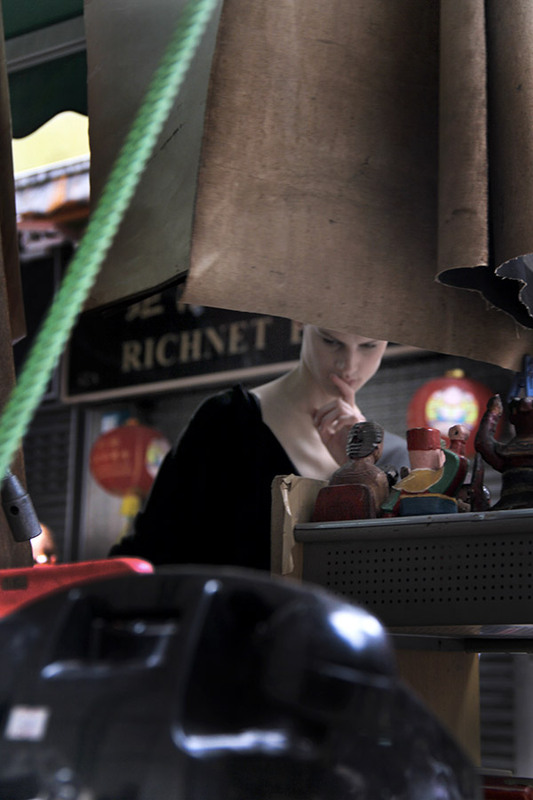 Saskia de Brauw: I love the contrast of the skyscrapers to the authentic older Hong Kong goings on surrounding them. It’s nice to be in the warmth with sweet people. Q3:Can you pls share your polaroids of Hong Kong with us? 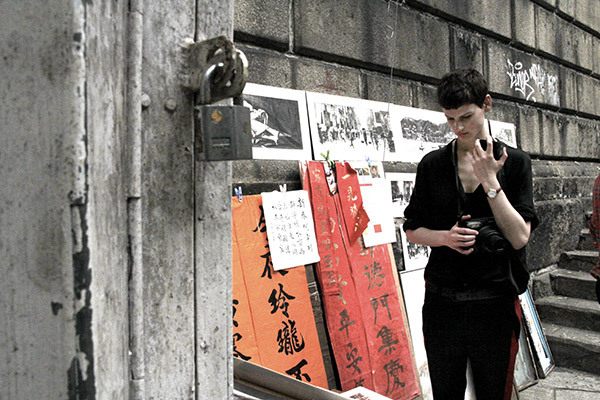 Saskia de Brauw: I took a snap of a lady reading her newspapers in a hut inside a carpark, and there’s a photo of the back of the calligrapher’s hand. I haven’t done much art work lately, but I love portraying the details of life, they also show a more doubtful, vulnerable side of me, which the fashion world doesn’t. In fashion spreads I come across as more tough and strong. Q4:How do you see art and fashion? Saskia de Brauw: I see some people in fashion as absolute artists, and Haider is definitely one of them. There are some make up artists and hair stylists who can use their hands like painters and sculptors. Art should come from the heart and soul, if fashion can do that too, then that’s very incredible. Q5:How would you describe Haider, both as a model and as a friend? 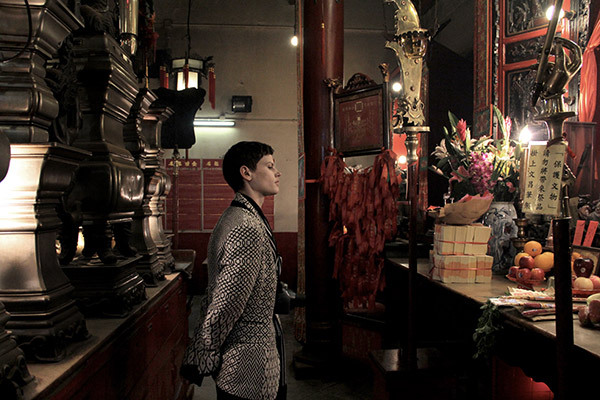 Saskia de Brauw: The first time I did Haider’s show I was immediately moved, which I must say doesn’t happen often. It’s like seeing a beautiful painting, the way he works with textiles on the skin and to see this in movement, is just beautiful.